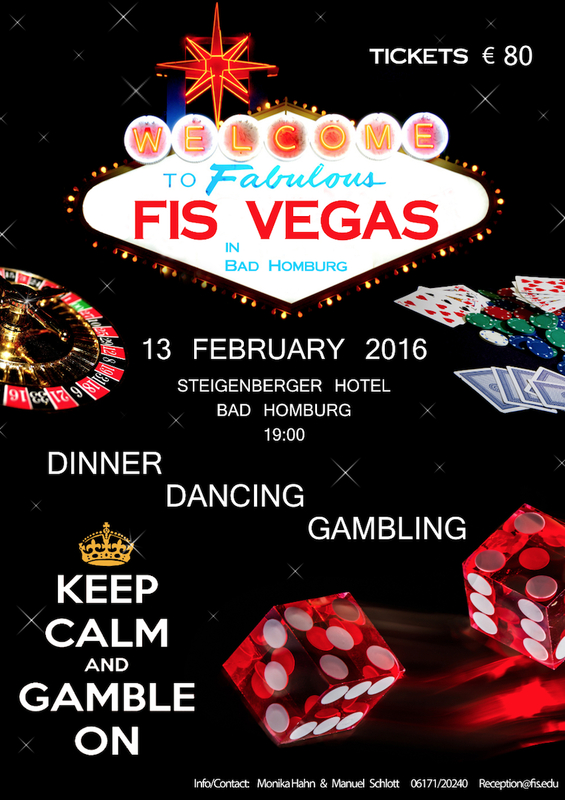 Frankfurt International School's Vegas Night is back by popular demand and community members are cordially invited to an evening of dinner, dancing and gambling on Saturday, 3 March 2018, at the luxurious Steigenberger Hotel in Bad Homburg. The event will begin at 19:00. And other entertainment and surprises! Plus, attendees will have an opportunity to taste from a wide variety of whiskies. Mark your calendars, invite your friends – and reserve your tickets today! Please register by 17 February 2018. Questions? Please call Monika Hahn or Anett Gyoere at (0)6171-2024-0, or send an email to reception@fis.edu.